For Ferrari, last year's title near-miss was just the beginning of a new era. After a hugely impressive winter-test programme, they head into 2011 as arguably the title favourites. Since that agonising Abu Dhabi Grand Prix strategy call, which cost Fernando Alonso the 2010 championship, Ferrari have shored up their technical and strategic capability, been the first to launch their new car, racked up more test mileage than anyone - and generally been among the fastest and most consistent during those tests. They appear to be in formidable shape as the team's new era - post-Michael Schumacher, Ross Brawn and Jean Todt - reaches full maturity. The first year of Alonso's leadership had a profound impact upon how Ferrari operated, and upon the team's internal equilibrium. He delivered everything the senior management - from president Luca di Montezemolo down - believed they needed. Over the seasons I've spent time with the people of this team. I've witnessed their times of stress, pressure, sadness and jubilation, observed how the whole thing operates, talked with them behind the various scenes that have played out over the years. It has been clear that there is no personality here that imposes how the team is run. It used to be former team boss Todt, through the formidable instrument of technical director Brawn. But under new team principal Stefano Domenicali, the team has been more loosely structured, reflecting a less dictatorial and warmer personality. 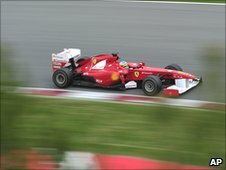 Furthermore, in 2007 world champion Kimi Raikkonen and '08 runner-up Felipe Massa, Ferrari had drivers that were passive outside of the cockpit, neither one of them the automatic team leader. It worked - after a fashion. Using the technical momentum of the previous era and taking advantage of McLaren's run-in with authority, the team squeaked Raikkonen's world title in the first post-Schumacher season - and Massa was probably the moral winner the following year. But the chemistry was not quite right - the team was not buzzing the way it used to back in the days when Schumacher dictated the frequency and Brawn imposed the order. You cannot be something you're not, and Raikkonen's replacement by Alonso was done in the full knowledge of what the team was getting. The Spaniard was recruited not just for his superb cockpit skills, but also to inject leadership energy to alter the make-up of the team. Alonso accepts nothing less than a team being centred around him. That way, he reasons, the team gets the full benefit of his potential. It was his reaction to the lack of this treatment that made his stay at McLaren short and catastrophic. Even at Renault, which was very much his territory, his anger was guaranteed those few times when Giancarlo Fisichella was faster and the team did nothing about slowing him. 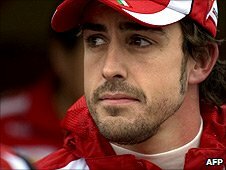 There was no systematic Schumacher-style leadership role imposed at Ferrari for Alonso's benefit - but the team was far from surprised when he demanded it after the Australian Grand Prix, in which he was delayed by Massa. They acquiesced to his demands but made the error of not relaying this to Massa until the inevitable moment arrived on lap 41 of the German Grand Prix four months later. Alonso, through force of personality and performance, had made Ferrari his own - and you got the distinct impression that the team was relieved about that; now they had direction. This is what they had brought him in for, after all, even if it was never explicit. It was ruthlessness by proxy from a bunch of people who were not ruthless by nature but understood the value of that quality. So they simply imported some of it. The beam upon which the load of that whole dynamic rests is Alonso's personal performance - and that's something more than capable of holding up the structure. He is the complete article in a way that Massa is not. But last year did not see the best of the Brazilian. He was psychologically at a lower ebb than when he was doing his best stuff from 2007-09, and it reflected in his performance. If he can bounce back this year, it may actually give Ferrari some problems in that it was easy to justify focusing on Alonso when he was delivering so much more. A return to the up-for-it, feisty Massa of 2008 would require the Alonso-centricity to be imposed as a system, which would likely bring about some fall-out but not nearly as much as there would be if they failed to do so. For Ferrari, it would be easier if Massa remained a little way off Alonso's pace. None of this will matter much if the car is not among the fastest and, although the signs from testing look very promising, there is a sense that we may still not yet have seen the true pace of the Red Bull RB7. There is also the revised Mercedes' stunning pace in the last gasp of the off-season to consider. It's hard to be definitive about testing times but the indications from Barcelona were that Mercedes, Red Bull and Ferrari could all lap in the mid 1m21s around there, with Renault and Williams in the low 1m22s, perhaps only a smidgeon quicker than Sauber and Toro Rosso. Only then does McLaren appear, with a best in the high 1m22s. Ferrari technical director Aldo Costa has admitted that last year's car was too conservative and that with this car they have tried to push the boat out further. But have they? It retains pushrod rear suspension at a time of widespread switch to pullrod, albeit done in an ingenious way that minimises the aerodynamic downsides of the layout. It does not appear to be radical but it just may be one of those cars where everything works perfectly in unison, where the perfect trade-offs have been made. 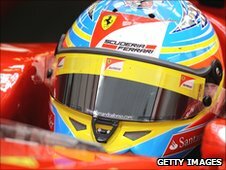 That probably will not become clear until final qualifying for the season-opening Australian Grand Prix. Regardless, this is a team motivated. The fateful tactical error in Abu Dhabi last year lost a title there for the taking and, once the frustration passed, that can only have induced more purpose. Technical and strategic staff recruitment suggest deeper layers of expertise too. Just as with Alonso's signing, these have been imported to shore up perceived weaknesses of what is already a formidable basic entity. While there is certainly pressure for more championships, the whole construct will not fall down if it fails to capture this year's title. So long as the Alonso-Ferrari axis keeps delivering and remains in contention, as looks likely, then it has plenty of time. After all, Schumacher didn't deliver a championship until his fifth season at Maranello.